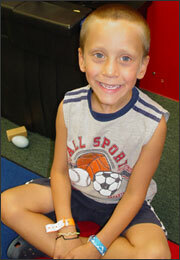 Each age group have an individual room considered as preschool and Pre-K. They each follow a much more structured curriculum and schedule to fully develop their growth and development emotionally, physically, socially, morally and intellectually. The children are given opportunities to experience and explore through learning activities at their own pace, by themselves, with a friend or in a small group. Considering literacy and numeracy as the key element for three, four and five year olds, we strongly seek to foster this development with reading stories, vocabulary building, songs, fingerplays, math and writing skills and oral language skills. We respect each child’s pace of learning growth and development and contribute Positively with praise, encouragement, and incentives. Considering communication With parents as a key element, we provide daily reports to inform parents about the child’s progress and daily activities. We strive to engage children with an abundance of arts and craft activities, math manipulatives, puzzles and instruction of proper pencil grip and use of scissors so as to refine their fine motor skills. Self-help skills, good manners and the practice of healthy hygiene habits is also Strongly encouraged and reinforced. An eight week summer program is organized for the four year olds and older children. Older siblings or school age children are always welcome on spring break, Christmas and summer holidays for a very reasonable rate discount.